Were you thinking about picking up a smartwatch anytime soon? 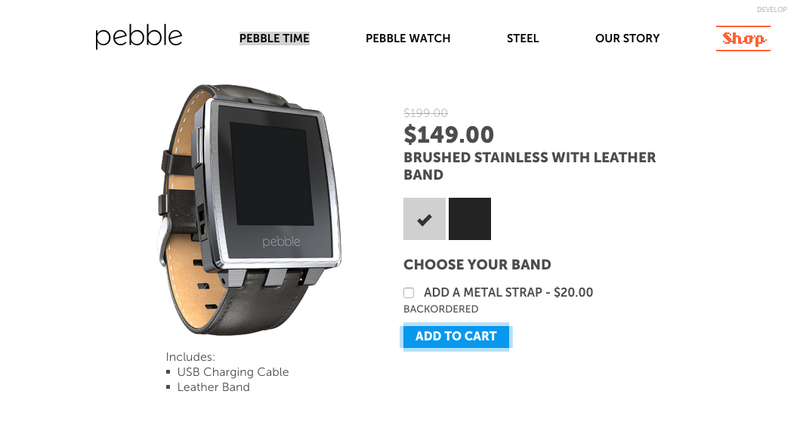 If so, a Pebble is always a decent choice, and for a limited time, you can pick one up on sale straight from Pebble. For a limited time, buyers can grab a Pebble for $89.99, down from $99.99, or a fancy Pebble Steel for just $149.99, down from $199.99. That’s some pretty good savings right there. This sale will last until the end of Saturday, so if you need a new gizmo for your wrist, check it out. And just so you know, this deal is also being applied to the models on Amazon, just in case you want to take advantage of your Amazon Prime membership.